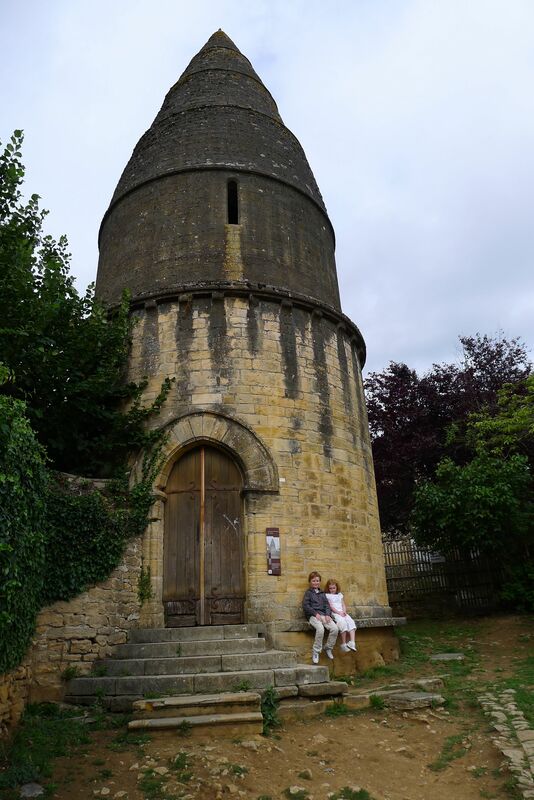 Feeling a little deflated, we head to Sarlat. Thankfully it is a quick drive, as we have driven for hours now and seen nothing! 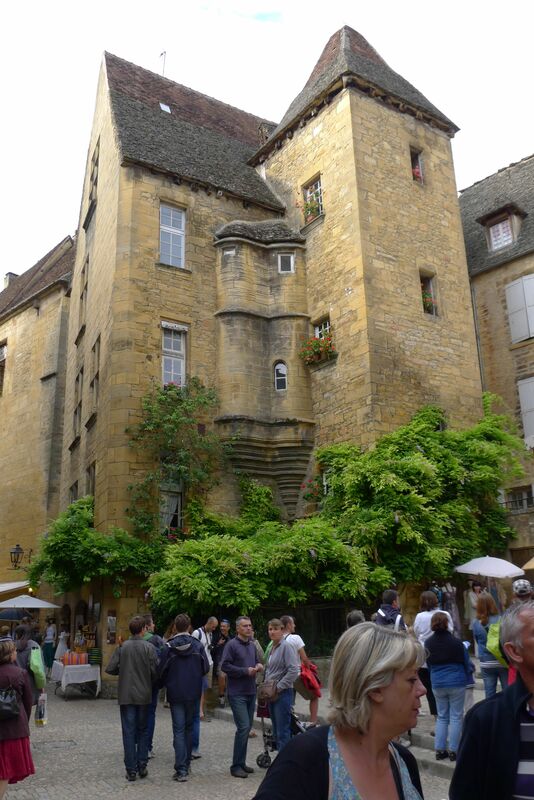 Sarlat is a town revered for it’s preserved flavour of 14th century France and is currently awaiting nomination as a UNESCO World Heritage Site. 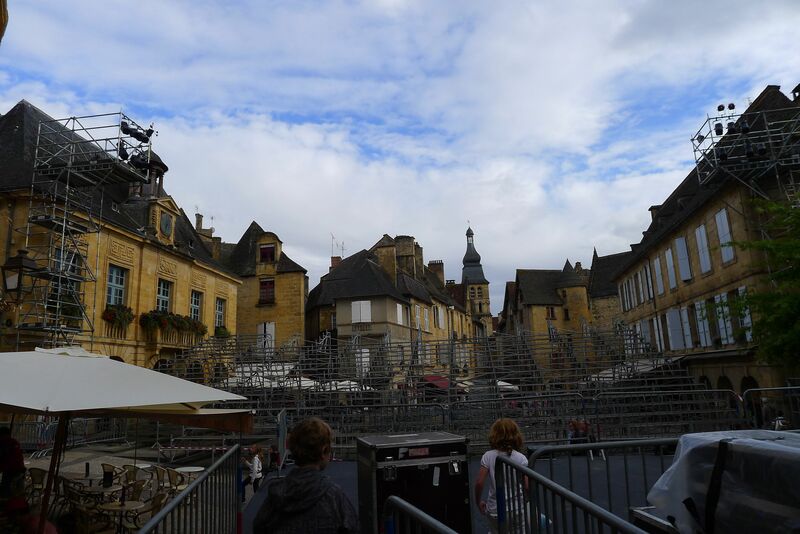 There is a Junior theatre festival on at the moment so there are street performers everywhere as well as signs of open air stages within the close quarters of the city. This town has a great vibe. It is chock a block FULL of people, even at 6:30PM. 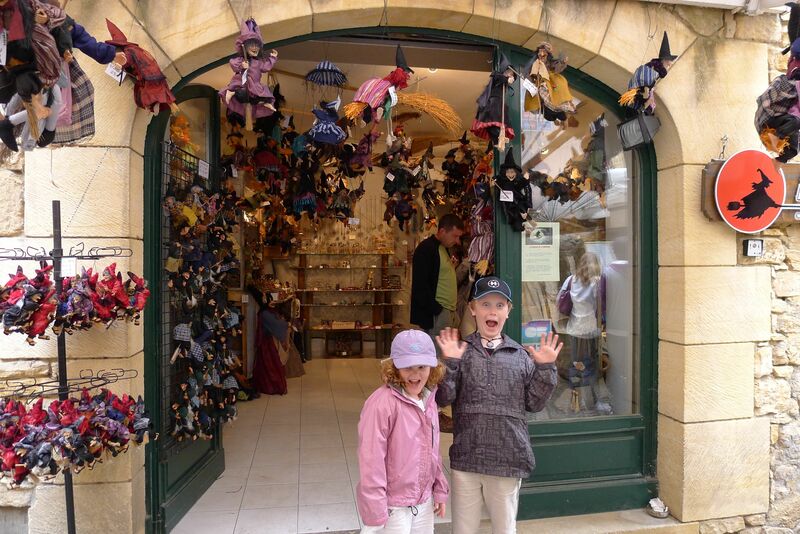 The shops all peddle fois gras, wine, walnuts and for some reason, witches. 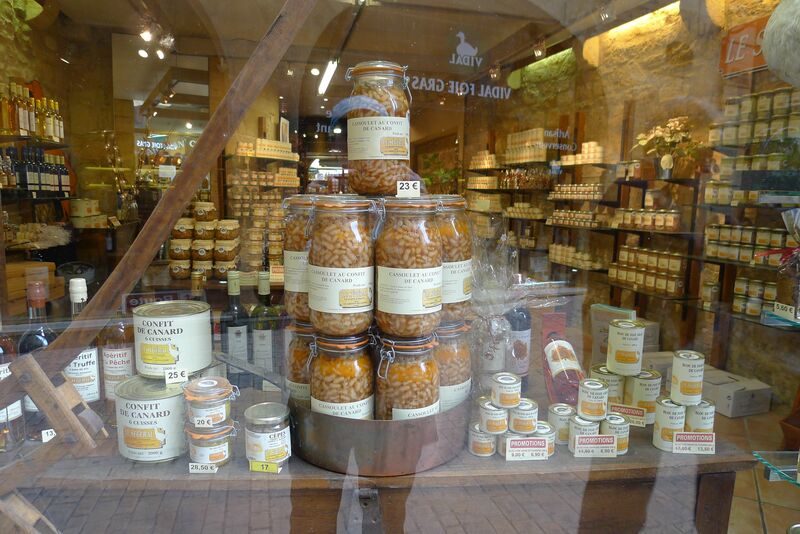 Or if you prefer, you can smuggle a 4 quart jar of cassoulet into your suitcase and be done with it. The photo below is called a “lantern of the dead” and dates to the 12th century. These buildings are a curiosity to France, and if I read the plaque correctly, they are associated with Benedictine cemeteries, although I see no sign of one here.